Heartburn is a painful burning sensation in the chest just below the breastbone due to the reflux of stomach acid into the oesophagus. The reflux is the result of the relaxation of lower oesophageal sphincter muscle (LES) which under normal condition stays tight and prevents backflow of stomach contents. The relaxation of the LES is, in turn, triggered usually by an unhealthy diet, poor lifestyle, smoking, alcoholism and several other pathological and physiological conditions of the body. Though heartburn is a simple and easily treatable problem; its negligence can lead to a more chronic disorder called gastro-oesophageal reflux disease (GERD). Let’s discuss a very popular herb Cayenne pepper and see what science has to say about its ability to treat heartburn. Cayenne pepper, also called red pepper is an herb, popularly used by Native Americans for its medicinal properties for 9000 years. It has a hot spicy taste with a sharp burning tinge felt in the mouth post-ingestion. The sharp spicy taste of this herb is due to the presence of a compound called capsaicin, which is found I variable amounts in all kinds of peppers. In cayenne pepper, capsaicin constitutes about 12% of its nutritional value and is responsible for its medicinal effects. An important spice in Asia, cayenne has been used around the world to treat stomach problems, improves metabolism, loss of appetite, circulatory problems, arthritis, and muscular pain. Despite its nature of being hot and sharp, it actually relieves pain very quickly. Its active ingredient capsaicin is used today in several pain relievers, ointments, and skin creams. Its medications are also used to ameliorate arthritis and shingles (Herpes zoster). Capsaicin is also the key ingredient of pepper sprays. It is usually advised for heartburn patients to stay away from spicy foods because they irritate the gut wall and increase the pain and acid production. Capsaicin or cayenne pepper on the other hand strongly relieves pain and heartburn effectively and is thus, good to take during acid reflux. Researchers have suggested that capsaicin contains several antioxidant properties apart from being an analgesic (pain reliever) which helps reduce the harmful effects of an acid attack in the gut. Below given are some of the beneficial effects of cayenne pepper to alleviate acid reflux. Capsaicin has very effective pain relieving properties because it can reduce the amounts of a compound called “substance P” in the body that is responsible for carrying pain messages to the brain. Though this research has been done for pain occurring from diseases like arthritis, pain from surgery, pain from diabetic neuropathy and not for acid reflux, the underlying mechanism for it to relieve long term pain induced by heartburn is expected to be the same. What it means: capsaicin in cayenne pepper is found to inhibit a pain messenger in the body, thus effectively relieving long term pain in different parts of the body including the stomach . Excessive acid exposure of the oesophageal wall causes extensive damage to the mucosal layer of that area and consequently the cells die. It also causes ulceration and if not treated for a long time, cancer. Research done on aspirin-induced damages in mucosal epithelium of stomach and intestines shows that cayenne or as a matter of fact, capsaicin, effectively induces the quick repair of the mucosal layer of these areas. What it means: the research essentially proves that cayenne pepper has powers to repair the damage caused by the acid and other harmful factors secreted in the stomach. It exerts gastro-protective effects on the mucosal layer in the gut and effectively aids in alleviation of heartburn . Oxidation is one of the after effects of inflammation of the gut wall caused by the repeated acid attack in heartburn. Due to excessive acid exposure, the wall of the stomach and oesophagus get damaged and oxidation of the cellular components occurs. Oxidation is a general phenomenon that occurs in the cells in response to damage. In this process, the cells sense injury and activate certain compounds called the reactive oxygen species that further attack on the cells and destroy them in order to protect nearby healthy cells. This causes local tissue damage and in the case of heartburn, ulceration. The ulcers if not treated can also lead to cancer or a hernia. The examples of reactive oxygen species include peroxide and carbonyl formation. In a research done on oxidation of red blood cells, it was found that capsaicin, found in cayenne, positively inhibits the peroxidation and formation of carbonyl residues, thus preventing oxidative damage in the cells. What it means: capsaicin present in cayenne inhibits the reactive oxygen species in the damaged tissues and prevents their oxidation or further damage. This reduces ulceration and pain in heartburn. Like many other natural products, capsaicin or cayenne pepper is not well researched for its effects on the stomach in case of heartburn. It has been established that cayenne or capsaicin shows healing effects in skin diseases, psoriasis, arthritis, and obesity but for heartburn, the evidence is not very clear. Capsaicin is widely available in the market in the form of ointments and capsules. For stomach disorders, 30-120 mg capsaicin in the form of capsules can be taken 3 times daily for immediate relief. It is advised to use cayenne as a powder for ingestion to cure digestive disorders. The powder is prepared at home should preferably be uncooked because cooking is said to have destructive effects on its therapeutic contents. Capsaicin or cayenne should not be given to children in any form or a doctor should be consulted before administering it to infants or older children to avoid unpleasant effects. Pregnant women can include cayenne in their normal food but consumption of this herb in therapeutic doses is strictly not recommended during pregnancy. Cayenne does not pass through breast milk so nursing mothers can use it in both foods and as supplements. However, a doctor should always be consulted before taking it in such a situation as a precautionary measure. The use of cayenne dates back centuries and is considered extremely effective in arthritis, stomach ailments, and skin diseases. However, due to lack of scientific evidence, it should be used with care to avoid any unwanted side effects. 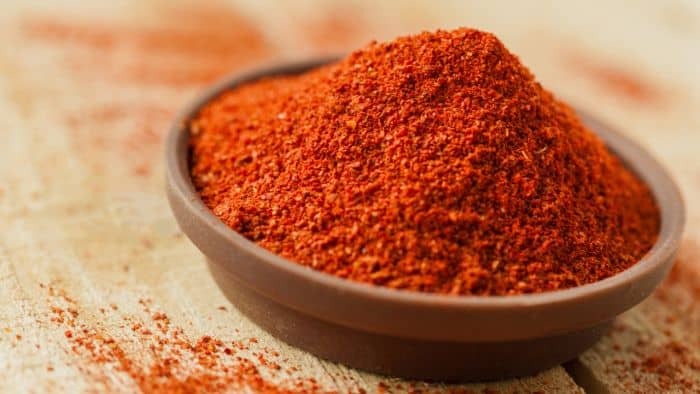 Cayenne may cause irritation of the tissue, skin or stomach but that is because of its sharpness and should wear off easily in a few minutes. 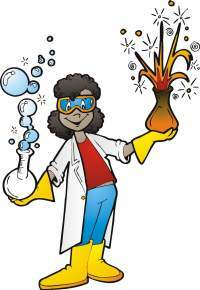 In case of contact with the skin, it should be washed off with vinegar as it doesn’t dissolve in water. The irritation caused by cayenne of capsaicin is very short lived. It may be longer in the starting but the body gets used to it after continuous use. So in case of persistence of the irritation for more than 2 weeks, its use should be stopped immediately. Some people might be allergic to cayenne or capsaicin which should be looked out for. In general, people who are allergic to latex, bananas, kiwi, and avocado, are also susceptible to have allergic reactions against cayenne. People who take blood-thinning medication, blood pressure medication or who are diabetic should consider consulting a doctor before taking cayenne or capsaicin. This is because capsaicin interacts with the drugs involved in blood thinning and also reduces blood sugar. Capsaicin may increase the risk of development of a cough and make pain killer less effective if taken along with. Capsaicin should also not be taken with heartburn, GERD, ulceration and other gastric disorder medications. It might interact with the drugs or increase/decrease the effect of these drugs. Cayenne pepper is an effective pain reliever and a therapeutic agent known to cure arthritis, diabetes, obesity and several stomach disorders. Contrary to the belief that the spicy nature of cayenne may increase heartburn, certain evidence show that cayenne possesses several anti-oxidant and mucosal repair properties that actually help heal heartburn. However, its use as an anti-reflux agent has not been established scientifically and it might also increase the irritation of the stomach rather than decreasing it in some people. Thus, it should be used in small amounts and with care to alleviate acid reflux.